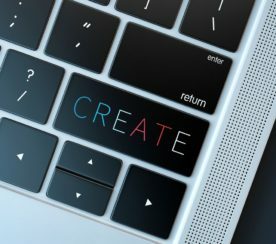 Do you consistently create great content? More importantly, do you optimize that content for search? If you’re not doing the latter for every piece of content you create, then you’re going to miss out on valuable, sustainable traffic in the long run. Content and SEO might seem at odds, but they are two sides of the very same coin. In this post, I’m going to give you five hacks to optimize every piece of content you create for SEO. This one should be obvious, but just in case it isn’t… solid keyword research for every aspect of your online marketing, including your content, will play a vital role in your SEO strategy’s success. You will want to choose a keyword phrase to optimize every piece of content you create. You don’t have to create SEO-focused content where the entire piece is heavily optimized with a certain percentage of keywords. But be sure to choose at least one main keyword phrase. You may want to choose a few related keyword phrases too. During the process of researching for related keyword phrases, you might find a better keyword phrase to use as your main term. For example, you may think that startup marketing is the perfect keyword phrase for your piece of content. But after a quick search with Google AdWords Keyword Planner, you find that marketing strategies is determined to have a higher search volume. 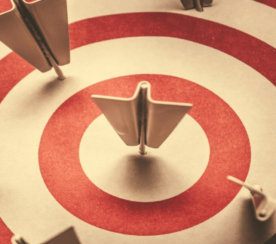 At this stage, instead of optimizing your content for just startup marketing, you could optimize for startup marketing strategies and target two great keyword phrases with one piece of content. Are you about to upload an image, document, MP3, presentation, video, or other file to your website, Facebook, iTunes, SlideShare, or any other network that you want people to be able to find in search? Are you uploading files named infographic.png or ebook.pdf? If so, then your files are not optimized for search because no one searches for just infographic or e-book without specific keywords relating to what the infographic or e-book is about. Before you upload any file you want to eventually be found in search engines, change the file name to something meaningful. Take your main keyword phrase and include it in the file name. Change infographic.png to top-startup-marketing-strateiges-2016-infographic.png and ebook.pdf to 50-essential-startup-marketing-strategies.pdf. 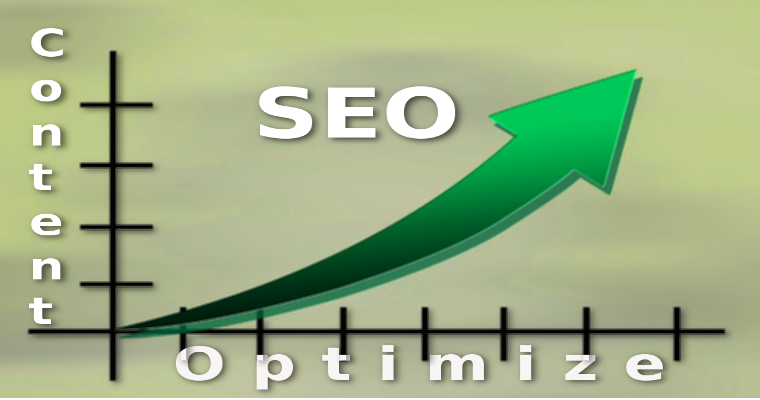 Now, you have keyword optimized file names that will mean something to search engines. This tactic isn’t just good for Google—it’s also good for the people who download your files. 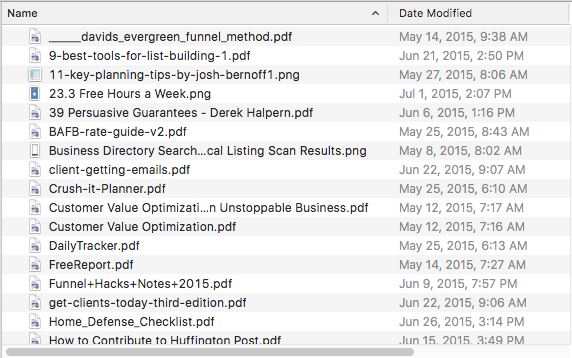 It’s easier to remember why you downloaded a file named 50-essential-startup-marketing-strategies.pdf than a file named ebook.pdf. It’s also more likely that people will keep your file on their computer and refer to it again if it has a specific name rather than a generic one. While there is no research to prove that, you can take a look at your own files to see which ones jump out at you as visually appealing and easy to read at compared to ones you have no idea what they are by looking oat their file name. Right now, I’m more inclined to look at Derek Halpern’s Persuasive Guarantees than the FreeReport.pdf in my folder of educational content. Which brings to mind another tip on file names: try to include your brand or business name at the end of the file name so people will also know who created it. This way you can build some brand recognition and authority, too. Most places you submit content to will have some common fields. They’ll ask for a title, description, and keywords or tags. These are crucial to ensure that people can find your content on the Internet, and also when doing an internal search, such as the search box on YouTube. 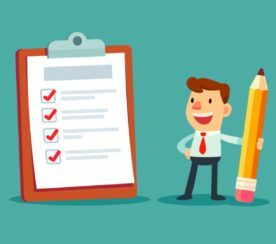 The goal when you’re filling out these fields for your content’s title, description, and keywords or tags is to make sure each field contains your main keyword phrase. For fields like keywords or tags, place your main keyword phrase first, followed by any related, relevant, or similar keyword phrases you discovered during your keyword research. Some sites might have the option to do a title and description for the readers, and a separate title and description specifically for SEO. Make sure you have filled out both accordingly with your main and related keyword phrases. Category and topic pages optimized for broad keywords tend to rank well in search engines. Take the keyword marketing, for example. Often Wikipedia trumps the SERP, but here we see Entrepreneur’s topic page with the latest articles about marketing ranks highly. 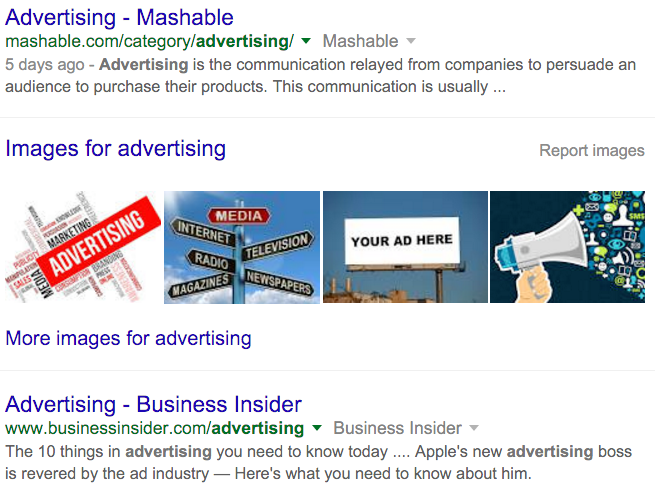 Mashable and Business Insider get good search results for the keyword advertising for their category pages on the topic. So to get your content appearing on the top pages for broad terms in your industry, choose category and topic pages that are ranking well, frequently submit your content to those sites, while selecting your chosen categories and topics. To get more views and clicks, your content either needs to be the most recent (for blogs and news publications) or the most popular (for networks like SlideShare and YouTube). 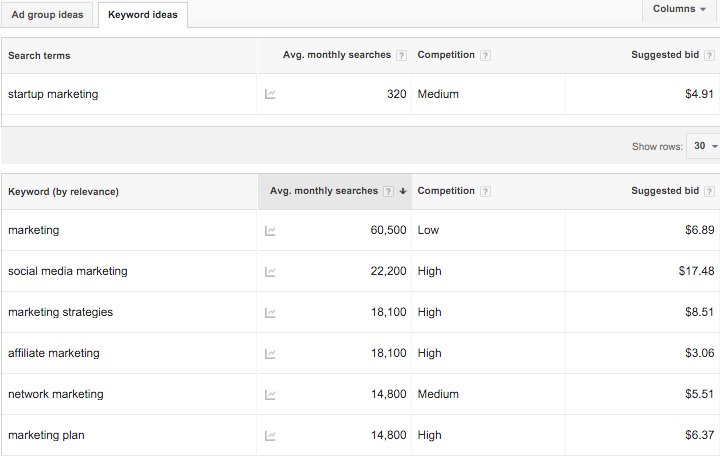 Optimizing your content for keywords doesn’t stop after the content is submitted and published. It should continue throughout the promotion of your content as well. 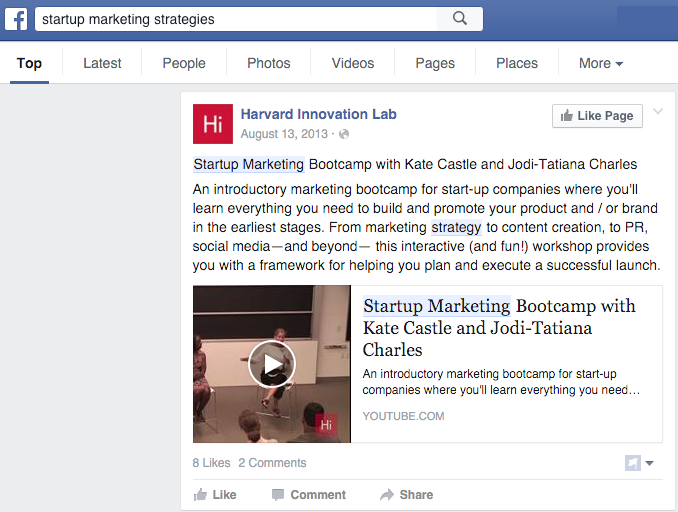 In particular, you will want to take note of the following points to ensure that your content is visible in more results when people search for your main or related keyword phrases, such as this Facebook search for startup marketing strategies. Include your main keyword phrase (and a few related ones if possible) in social shares of your content. If you optimized your content with the main keyword phrase in the title and description, the link preview should be set. This means you just need to add your keyword phrases as early as possible your custom description of the content before you share on social networks. This especially applies to Facebook, Google+, and LinkedIn. 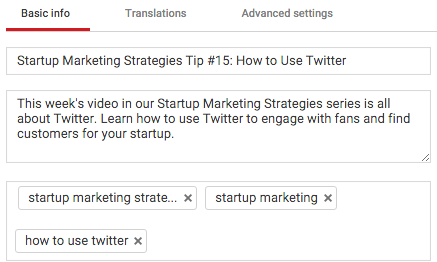 Include your main keyword phrase as one or more hashtags in your update, preferably after the custom description of the content on Facebook and Google+ or after the link on Twitter. For example, you could have #startupmarketing or #startup #marketing (or both, space permitting). If you do a “link in the bio” promotion on Instagram, this will help more people discover your content. Search for your main keyword phrases (and related ones) on Q&A networks like Quora and Yahoo Answers. If possible, add your content link as part of a helpful answer to the top and most recent questions. Submit your content to keyword optimized categories on the top social bookmarking and voting sites in your industry. BizSugar, for example, has a Startup category and GrowthHackers has a Marketing Strategy category. Submissions with the most votes tend to end up at the top of the categories on these types of networks. Repurpose your content and submit it to other networks. That way, your content has the potential to be discovered in different forms – blog posts, podcasts, presentations, videos, etc. Link those new pieces of content back to the original when possible. Find other blog posts and articles that mention your main or related keyword phrases. If those keyword phrases are not linked to anything else, contact the owner of the content to see if you can get your content linked to that keyword phrase. Find people who rank on social networks for your main or related keyword phrases. Contact them to see if you can get them to share your content with their audience, assuming you are not a competitor of theirs. As you can see, these five hacks to optimize every piece of content for SEO are very powerful if put to good use. I encourage you to try them out, experiment with your content where applicable and start ensuring that more people can discover your great content through good optimization. All screenshots by Nathan Chan. Taken January 2016.